At Clifford Packaging we’re proud of our reputation for quality and our customers know this – it’s why they keep coming back. As our activities cover a broad spectrum, we have a policy of continuous quality control to make sure all areas are performing to the optimum standard. We work with a number of leading packaging manufacturers, as this enables us to offer our customers one of the widest range of standard and bespoke packaging solutions. Our quality control processes mean that each of these manufacturers is put through a benchmarking control to ensure that they meet the required standards of performance – this will include quality control, environmental performance and value for money. Quality management covers raw materials, finished product, product testing, service and delivery as well as our administration and health & safety functions. Thanks to this rigorous approach, Clifford Packaging customers can be sure they are getting a cost-effective solution that is fully compliant with all standards. 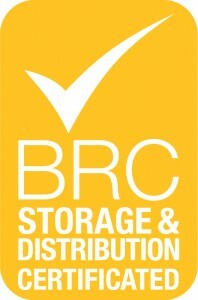 Clifford Packaging are members of the BRC Global Standards programme, which is a leading safety and quality certification programme used by over 22,000 certificated suppliers in 123 countries, with certification issued through a worldwide network of accredited certification bodies. The Standards guarantee the standardisation of quality, safety and operational criteria and ensure that manufacturers fulfil their legal obligations and provide protection for the end consumer. BRC Global Standards are now often a fundamental requirement of leading retailers and demonstrates how Clifford Packaging is working with the retail industry to help make a positive difference.